Teaching resources specifically aimed at school linking and exchanging information through our four key questions, including structured lesson plans and identity work. This video made by a Year 5 Primary Class to share with their link class is so simple – yet creates such a welcome for the link class before their visit. We especially love the home made keyhole – feels within reach for us! This book list shares details of the books used or made reference to in TLN’s teaching resources and linking activities. 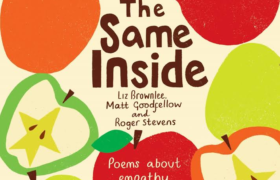 This is a great Key Stage 1 resource to explore inclusion and acceptance. It is easy to feel left out or excluded in the playground. Duck wants to join a club and his application is denied. 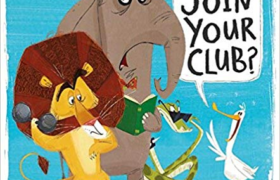 He sets up a new club where all are welcome. 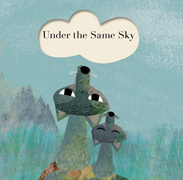 We really like the line repeated throughout the book- we all live under the same sky which builds through this book for young children and we have just written a series of classroom lessons inspired by the book. Powerpoint to accompany Lesson 1 Visible and Invisible from the Primary Identity Pack. Powerpoint to use with Jigsaw Template. This pack includes six sessions based around Schools Linking’s four key questions: Who am I? Who are we? Where do we live? and How do we all live together? 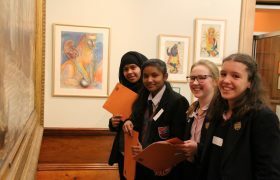 The purpose of these lessons is to develop discussion around the concepts of identity, diversity, uniqueness and belonging. This set of lessons is just one way of exploring these discussions.